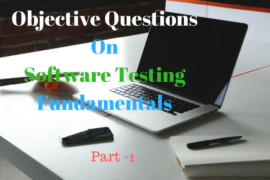 Here you will find the collections objective type multiple choice questions on PL/SQL and Oracle along with their answer at last of all questions. 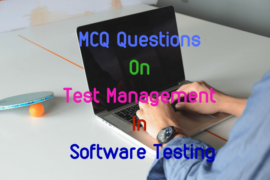 You will find here MCQ questions on different PL/SQL statements such as UPDATE, DELETE and INSERT SQL commands. 1. ………………….. are used to recreate if trigger already exists. 2. ………………………… is used to define code that is executed / fired when certain actions or event occur. 3. …………….. provide a way for your program to select multiple rows of data from the database and then process each row individually. 4. ……………………… cursor are declared by ORACLE for each UPDATE, DELETE and INSERT SQL commands. 5. ……………………. cursors are declared and used by the user to process multiple row, returned by SELECT statement. 6. ………………….. contain a pointer that keeps track of current row being accessed, which enables your program to process the rows at a time. 7. ………………….. a cursor enables you to define the cursor and assign a name to it. 8. In ………………. the cursor advances to the next row in the active set each time the fetch command is executed. 9. A ……………………. is a database object that groups logically related PL/SQL types, objects and subprograms. 10. In the PL/SQL, the package specification contains ………………….. declarations.